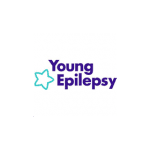 Young Epilepsy is the national charity working exclusively for the 112,000 children and young people aged 25 and under with epilepsy and associated conditions. The aim of Young Epilepsy is to improve the lives of children and young people with the condition, to enable them to fulfil their potential and ensure they have the best quality of life. The charity provides a range of support and information for parents, children and young people and training for professionals. It also campaigns for better access to, and quality of, health and education services, and to raise awareness and increase understanding of epilepsy. With a responsibility for safeguarding its clients, where there is concern that an individual is at risk of, or has been harmed, Young Epilepsy has a duty to record these and does so through its online Incident Reporting System (IRS). The IRS is used by all of the approximately 1,000 staff to record the details of any incident and submit a report when sufficient detail is provided. Since March 2014 Young Epilepsy had been utilising a SharePoint 2013 application for its IRS. This replaced and upgraded an earlier non-SharePoint system. Utilising SharePoint allowed the organisation to manage the safety and wellbeing of their clients in one place, though they had identified outstanding issues inherited from the earlier system that were influencing its SharePoint IRS. Additionally it needed to implement enhancements necessary to meet operational requirements and so contacted Ballard Chalmers to help. In 2015 Ballard Chalmers completed the Phase I refinements work on Young Epilepsy’s IRS. Further to this it was identified that other enhancements could be made to help improve the system. Once this was completed there was a Phase II of development undertaken which included carrying out a major refactoring of the data schema. Phase III concluded during February 2017 and included a new Red-Amber-Green (RAG) rating system for incidents, further enhancing the ability to respond correctly and timely to those incidents of most concern. These changes positively impact on everyone in this unique organisation. Commissioners and key stakeholders particularly report increased visibility and control over incident management. Ballard Chalmers and Young Epilepsy have an ongoing relationship, which has seen the two organisations work together on several projects now, including SharePoint Intranet design consultancy, and website and software support plus maintenance.